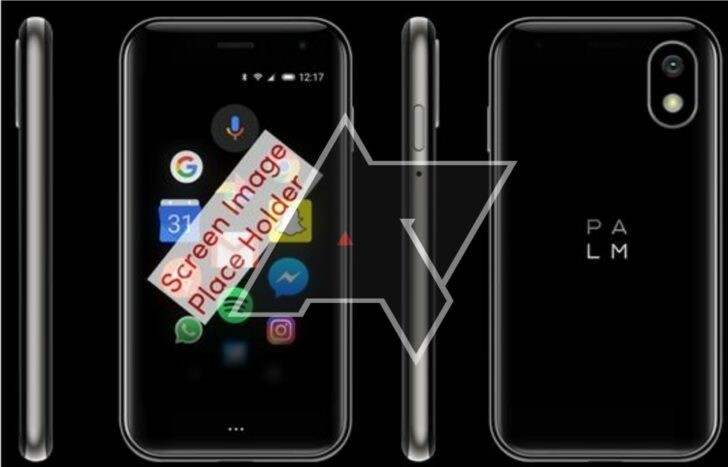 The Palm Android phone which TCL has planned to get back is reportedly going to come with a 3.3-inch LCD display with 720p resolutions on it. Considering this, we can easily say that the phone will be an entry-level device without much fuss around. It will be having a Snapdragon 435 processor under the hood, with a decent 3GB of RAM. The memory inbuilt is 32GB but we can expect more storage options. Apart from these, the device is said to come with an 800 mAh battery on board, which is very small. It will be coming with Android 8.1 Oreo operating system and moreover, the smartphone is codenamed as “Pepito”. There is not much of information available as of now but it is said to be released in the US via Verizon. The Palm Android device will be available in titanium and Gold color option and does not feature a headphone jack. This is certainly an out of the box move from TCL is the above said rumors are to be true. What are your views on the device? Will you get one? Comment in the section below and stay tuned to Android Advices for more. Earlier: Many might already know about TCL plans to bring back the Palm devices and earlier this year, in the month of March, we had the news about a Palm-branded Android smartphone to be launched Via Verizon in the second half of 2018. 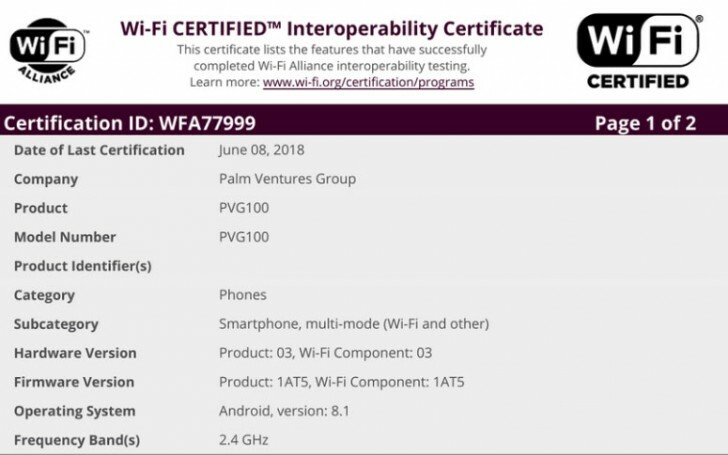 The latest news is that a Palm device with model number PVG100 has been spotted on FCC and Wi-Fi Alliance certification websites. According to the listing, the upcoming device will be coming out of the box with Android 8.1 Oreo operating system and also a frequency band of 2.4GHz has been listed. This clearly indicates that the device will not be a high-end device so we can expect it to be a midranger. The FCC filing showcases the device with a label which reads “Designed by Palm in San Francisco and Manufactured in China. This strengthens the possibility of TLC bringing back the Palm branded smartphone into the market pretty soon. Since most of the Palm devices come with a small physical keyboard like the BlackBerry smartphones, we can expect TCL to launch a similar design. Considering the fact that the Palm brand is making a comeback, TLC might just try with a midrange smartphone initially and later think about making a high-end device depending on how the market responds. The PVG100 is expected to come with a Snapdragon 625 SoC like the BlackBerry KEYOne which is also a midrange device. Well, we need to wait for few more days to know more about this Plan branded device and we are very much excited to see the pricing and specs sheet soon. What do you think about Palm brand making a come back? Will people like it? Do you own a Palm branded phone? Let us know by commenting in the section below and also share your views on the same. Stay tuned to Android Advices for similar news and updates.